Karti Chidambaram, son of former Union Finance Minister P Chidambaram, is under investigation for his prima facie involvement in INX Media scam pertaining to alleged irregularities in the Foreign Investment Promotion Board clearances to media executives Peter and Indrani Mukerjea-owned company, INX Media, and receiving overseas funds amounting to Rs 305 crore in 2007, when P Chidambaram held office as the Finance Minister. On May 15 this year, a FIR was registered by the CBI against Karti under sections 8, 13(1)(d) and 13(2) of the Prevention of Corruption Act 1988, and Section 420 read with Section 120 B of the IPC. Subsequently, the CBI had also issued Look Out circulars dated June 16 and July 18, forbidding him from leaving the country without its permission. 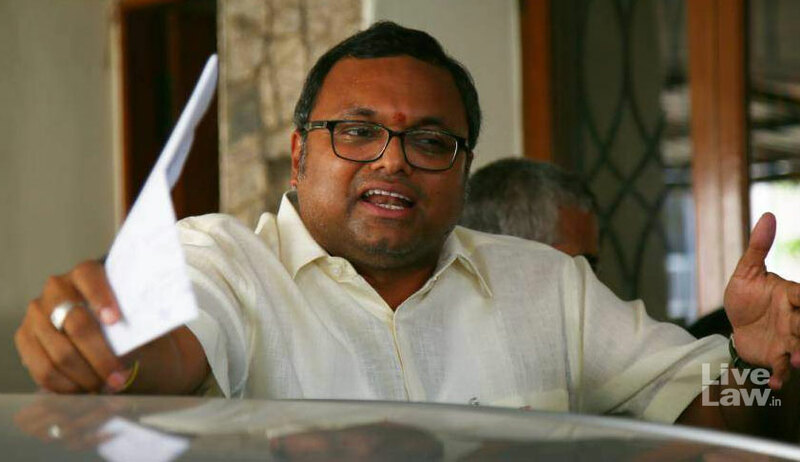 The Madras High Court had, by order dated August 10, stayed the operation of the said circulars until such time the writ petitions filed by Karti against the impugned FIR are disposed off. In a special leave petition by the CBI, the top court had, on August 14, lifted the interim stay so imposed by the high court. The plea of the respondent relates to permission for travel to Britain between December 2 and 10, in connection with his daughter’s admission at Cambridge University. At the previous hearing on November 9, the bench, upon perusing confidential documents produced in sealed cover by the CBI regarding the respondent’s alleged involvement in the aforesaid matter, had directed Additional Solicitor General (ASG) Tushar Mehta, appearing on behalf of the CBI, to obtain instructions from CBI on the plea of the respondent “without prejudice to either side”. On Thursday, senior advocate Kapil Sibal, representing Karti Chidambaram, reminded the bench that at the said previous hearing, the court had displayed an inclination to allow the respondent to travel abroad for 4-5 days, subject to such conditions as the CBI may deem fit to impose. At the hearing on November 6, the CBI has raised objections to permitting the respondent to travel outside India during the pendency of the investigation. On a request made in this behalf by the ASG, the Supreme Court on Thursday directed the CBI to submit its reply on the application of the respondent by November 20, when the matter is next scheduled for further hearing.